In 2015, USC Kaufman opened its studios to its inaugural class, now poised to graduate. Their accomplishments are a testament to (and test of) Kaufman's unique approach: Grads will have studied a vast array of styles, spearheaded interdisciplinary projects, and completed a rigorous liberal arts education. If they go on to successful professional careers, they'll help cement the Kaufman School's burgeoning reputation as the "Juilliard of the West." 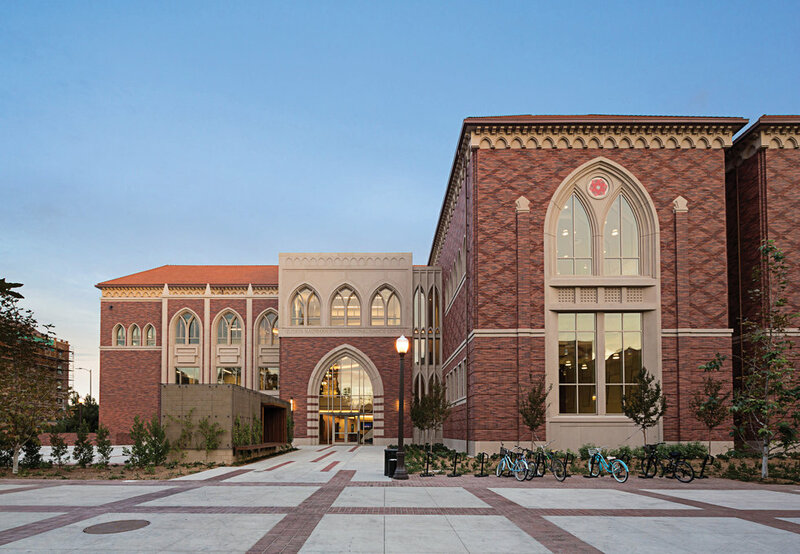 When philanthropist Glorya Kaufman, whose major financial gift made the school possible, put the new program in motion, USC was able to design a curriculum and a facility concurrently. Vice dean Jodie Gates describes that as an incredible luxury, one that she and dean Robert Cutietta used to consider what dancers would need from a 21st-century university education. "The ways in which dancers are employed, or creating opportunities for themselves, are changing," Gates says. "We had to build a new model for a new artist." And they needed to put together a program that would attract top-notch students—because, let's be honest, not every gifted dancer considers going to college, even though the myth that college can hurt a dance career has been thoroughly busted. USC Kaufman capitalized on the existing dance resources of its L.A. location, and also scored a few major coups, including securing the legendary William Forsythe as a faculty member and developing a partnership with Hubbard Street Dance Chicago. Now, with financing and faculty in place, the school seems poised to flip the stereotype that L.A. only has room for commercial dance. The Kaufman admissions process isn't for the faint of heart. First of all, interested dancers have to get into USC based on their academic standing. Then, they have to make it through a multi-round audition process, which includes performing solos in contrasting styles and interviewing with faculty. 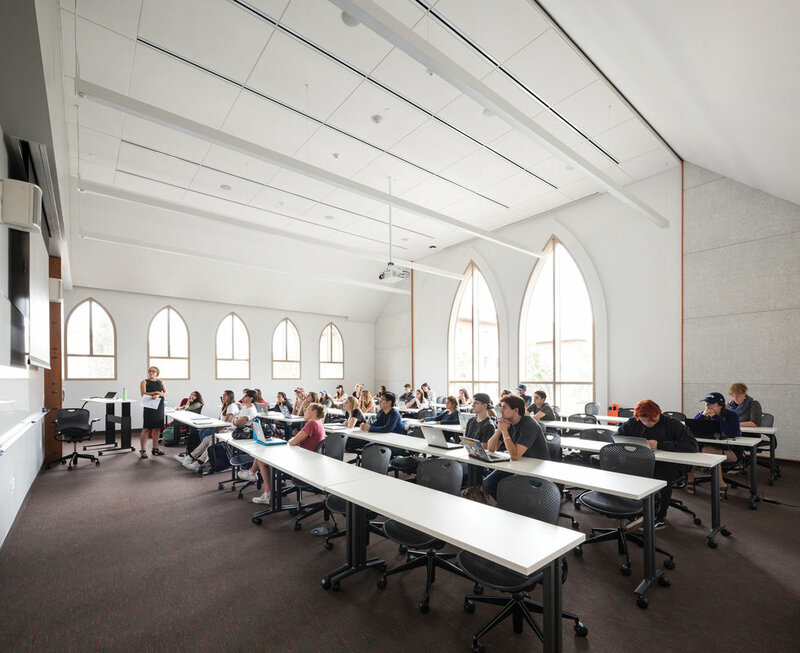 Artistic and academic ability certainly play a big part in the Kaufman admissions process, but Gates says that the school is also looking to create a community among its students. To that end, she and the rest of the department are looking for dancers who can work together, and who are interested in contributing to the wider world. "Our aim is to foster physical thinkers," says Patrick Corbin, assistant professor of practice and Paul Taylor répétiteur. "We want to empower students with the challenge of finding answers, rather than spoon-feeding them everything." create their own interdisciplinary project, collaborating with peers in at least two fields outside of dance. Gates describes it as a rigorous, yet organic, balance. "We're asking a lot from them, for a BFA," she says. "But I can't give this generation enough kudos. They have remarkable plans. They're shape-shifters." And they have to be, to keep up with the demands of Kaufman's technique classes. The faculty's performance experiences range from Batsheva Dance Company to Nederlands Dans Theater, and their expertise includes everything from Bollywood to Afro-Cuban styles. Corbin points out that there are no levels at Kaufman. "Our BFA students move through the program together, which allows them to learn from one another." Not surprisingly, he describes Kaufman students as some of the most versatile dancers he has ever worked with. "And they're smart!" A version of this story appeared in the September 2018 issue of Dance Spirit with the title "Game Changers."